This year, I was able to attend Wizard World Portland. I had not planned on it since there weren't many attractions/guests posted to their website that drew my interest, but when Alan Tudyk was announced as attending, I felt the desire to make an effort to go. Before many of the cons I have gone to over the past almost 4 years since creating Comic Book Covers 4 Cancer, I have always tried to have a goal in mind for getting something for #CBC4C. Last year for WW PDX, I was able to get some signed prints and a cover from Arthur Suydam. 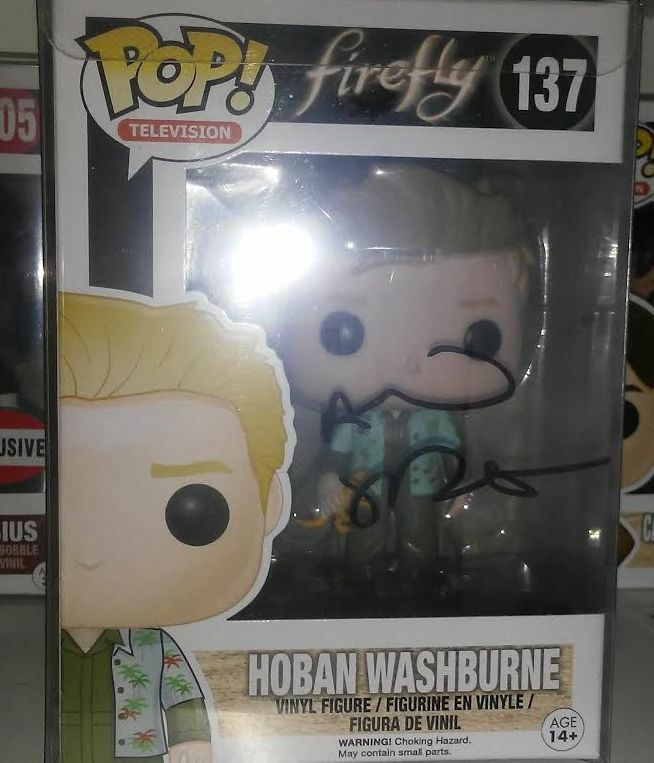 This time, I came in with no agenda other than to acquire Alan Tudyk's autograph on my Hoburn Washburne Funko Pop. 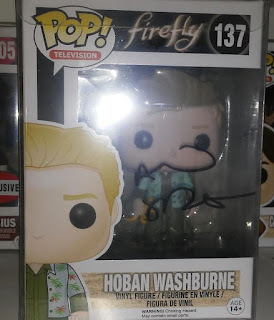 I did get to meet Alan Tudyk and have him sign my Funko Pop. There weren't a huge amount of people there, so I didn't feel cramped or crowded. There were a few times where I did bump in to other people, but not as bad as some other events I've been too. My friend (Scott) was able to get his photograph with Alan Tudyk and add Josh McDermitt's autograph to his Walking Dead cover purchased from #CBC4C that was donated by Paul Rowden. When it was originally donated, the cover included autographs from Scott Wilson, Chad Coleman, Lawrence Gilliard, Jr., Kyla Kenedy, Jose Pablo Cantillo and Michael Rooker. Since then, Scott has been acquiring new autographs as he can such as Jon Barethall's at Rose City Comic Con 2016. I found a vendor who was selling blank covers for $2 and was able to pickup a few for #CBC4C that I think artists will appreciate. The way things were managed this year, it felt very disorganized. When we were queued before the show, it made sense until they let half the people go and then re-queued the rest in the new empty space. What would take about 10-20 minutes at other events ended-up taking 30-45 minutes. The entrance to the event was bottle-necked by security. We were check with a wand metal detector, and then we had to open our bags. I would have no problem with this, other than I keep a pocket knife in my backpack. It took the woman working security 5 minutes to figure out how to "peace-cord" my pocket knife by putting a zip-tie around it. No real problem except for later, when I put my bag in my car, I was able to easily slip the zip-tie off. Upon entering, the first thing I noticed was that there was about 60% of the show floor that was not being used. 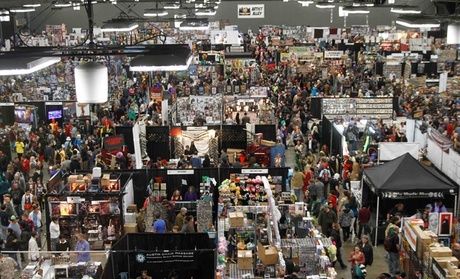 There were large, empty spaces and not many exhibitors. Here's a link to a video from this years event that should give you an idea of how much open space there was. This is a photo from last years event. Before the actual event, I tried to keep updated on the guests and wanted to see when the autograph and photo ops were scheduled. To my surprise, they weren't posted in advance, so we couldn't plan accordingly. It wasn't until Scott purchased his photo op for Alan Tudyk that we learned that it was scheduled for 4:30pm. This was around 10:15am. 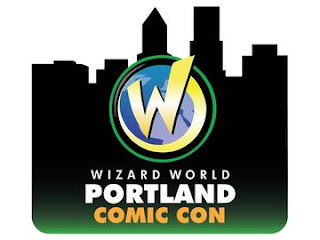 This years event was less than what it has been in years past, and I wouldn't be at all surprised is next year Wizard World decided to take a pass on coming back to Portland. I think that the negative publicity that WW faced in 2016 (link to story) (link to story) may have impacted vendors and artists alike. If I had to give the 2017 event a rating from 1 to 10, I'd give it about a 6.5. It failed to impress like before, but I got stuff and had some fun while I was there. While I do get the chance to attend some events as a guest of the media/press (i.e. the event provides me with passes to attend in return for a review), this review was 100% unpaid for by the folks at Wizard World. Even if it were, that would not have changed my perceptions. Just wanted to make sure there was full disclosure.